Festi Jam/Mini Picnic Festival à Mazy (Belgium), 29th and 30th August. Festi Jam/Mini Picnic Festival à Mazy !!!
! Versions Français, Nederland & English ! Fin Août: notre Super Jam-Festival, les 29 et 30 Août à Mazy avec plusieurs concerts, venez nous retrouver avec vos instruments. Dans l’esprit d’un PICNIC FESTIVAL, la prochaine Jam aura lieu sur deux jours les Vendredi 29 Août et Samedi 30 Août 2014. Qui: Amateurs de musique Acoustique Bluegrass, Irlandaise et Old time, avec ou sans instrument, débutants ou confirmés... bonne humeur requise! Organisation: Steve Louvat, Laurent Eeckhout (Picnic Festival) & Pascal Similon (Atelier Guy Ness). Merci à tous les bénévoles pour leur aide précieuse. En espérant vous y rencontrer nombreux et nombreuses. Einde van Augustus: en onze Groot Jam-Festival, 29 en 30 Augustus te Mazy met veel concerten, neem U instrument !!! Zoals een PICNIC FESTIVAAL, de elfde jamsessie heeft plaats op Vrijdag 29 en Zaterdag 30 Augustus 2014. Wie: Amateurs van Bluegrass, Irish en Old time akoestiesche muziek, met of zonder instrument, beginneling of gevorderde ... en breng vooral jullie goed humeur mee! Organisatie: Steve Louvat, Laurent Eeckhout (Picnic Festival) & Pascal Similon (Atelier Guy Ness). Bedankt aan alle vrijwilligers voor hun hulp. In de hoop u talrijk te mogen ontmoeten. The end of August: our Big Jam Festival, several great concerts on August 29 & 30 in Mazy, bring your instruments !!! In the spirit of the PICNIC FESTIVAL, the next jam will happen on Friday 29th and Saturday 30th of August 2014. Where : at the wonderful Zy’coop place, 9a rue de l’usine, 5032 Mazy. Who: fans of Bluegrass, Irish and Old Time Acoustic music, with their instrument or not, beginners or advanced … cheerfulness required! Our friends at Bluegrass In Belgium have produced an impressive listing of Bluegrass concerts that will be taking place in Belgium during the last week of August and throughout September. As well as checking out where you might find some great Bluegrass shows, also have a look at the Bluegrass In Belgium website (multi-lingual). In addition to the calendar of concerts, there are links to Bluegrass associations (naturally, including the EBMA), listings of Belgian Bluegrass bands, small ads to buy/sell instruments and details of Bluegrass radio stations. On Monday night September 1st, the award-winning Dutch/Belgian/German bluegrass band 4Wheel Drive, featuring Jolanda Peters, will release its new album 'Traveling Kind' as the opening act for a new series of Monday night concerts called 'Pearl Sessions' ('Parel Sessies') in Utrecht, The Netherlands. Traveling Kind is the name that fits quite well to this combination of musical talent. Ever since they started playing and singing in Western Europe the crowds have been left happy and calling for more. In the last days of August and into the first week of September, they will travel to Ireland where they appear at the Ulster-American Folk Park Bluegrass Music Festival, then onto The Netherlands to play at De Parel van Zuilen) and then onto Switzerland for the Sunny Mountain Bluegrass Festival. The 'Pearl Sessions' is a series of Monday night concerts by many national and international artists in the fields of bluegrass-traditional music, folk music, singer-songwriter genres. In the series there will be concerts such artists as Bluegrass Boogiemen, Jussi Syren & the Groundbreakers, Pam MacBeth, Amy Speace & Cara Luft, David Munnelly, Mystiquero's, The High & The Lonesome, Red Herring, Monroe, Louvat Bros. and many, many more. As well as playing their new album, Joost van Es, promoter of 'Pearl Sessions', fiddle-player of 4Wheel Drive and producer of the album 'Traveling Kind' will make a special announcement and reveal the headlining artist of the 3rd Gulpener Bluegrass Festival in Utrecht (link to the festival Facebook page). Tickets for the Gulpener Bluegrass Festival will be on sale from September 1st. Whoever this 'mystery' artist is, the appearance on May 14th at the festival will be their only show for the Netherlands and Belgium so there is likely to be a high demand for tickets. Bluegrass fans are warned: ticket sales may be limited so keep an eye on this website. 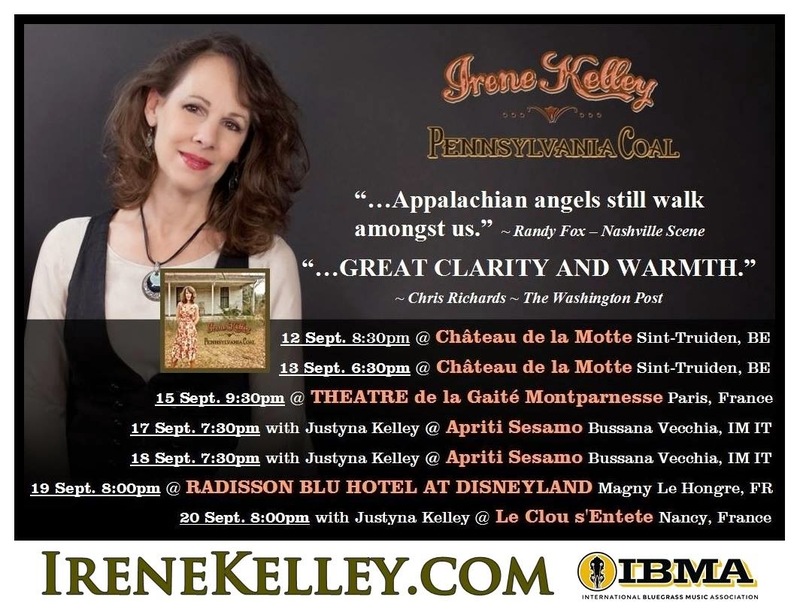 Before making her way to Raleigh, North Carolina for the IBMA World of Bluegrass and Bluegrass Ramble events, Irene Kelley will be playing some dates in Belgium, Italy and France during September 2014. Irene's latest CD, Pennsylvania Coal has deservedly received much praise and the invitation to join the Bluegrass Ramble lineup is, in part, to the success of Pennsylvania Coal; one of the IBMA's criteria for selecting artists for the Bluegrass Ramble is "[having] released significant new recorded material". More information can be found on Irene's website. 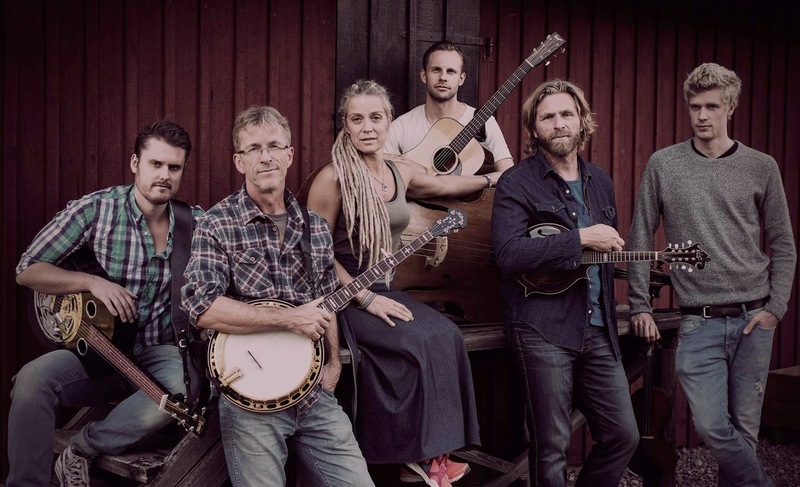 Downhill Bluegrass Band from Sweden release their fifth album, "Wonderland"
Downhill Bluegrass Band is a six piece band which consists of some of Sweden's and Europe's best bluegrass musicians. The band has been around for 18 years and, in that time, has released a handful of albums and toured extensively in Europe and the US. They have been invited several times to the annual IBMA (International Bluegrass Music Association) event both as a band and as songwriters. On this, their fifth album, the material has mostly been written by Jonas Kjellgren and Mikael Grund. They were greatly inspired by traditional bluegrass, both instrumentally and in the three-part harmony singing synonymous with the genre. As is typical in bluegrass, Downhill have also been influenced by traditional blues and country music though on the album's instrumental track, written by Erik Gunnars Risberg, a slight note from Swedish folk music can be heard. 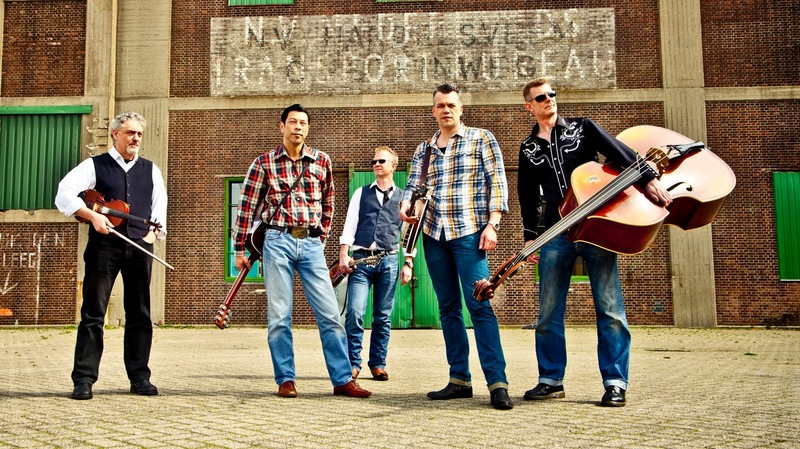 Downhill Bluegrass Band was formed by Jonas and Kenneth Kjellgren with the intention of playing traditionally rooted bluegrass with a contemporary flair. Sharing the same musical ideas and sources of inspiration they started to play together in 1998. But throughout the years, Jonas Kjellgren and Kenneth Kjellgren have remained the cornerstones of the band. Downhill is also one of the organizers and host band of Torsåkers Bluegrass Festival, one of Sweden's largest bluegrass festivals.